Nagpur: The President of India, Shri Ram Nath Kovind inaugurated the Suresh Bhat Natya Sabhagrah at Nagpur today (September 22, 2017). Speaking on the occasion, the President said that this is his first visit to Maharashtra after assuming the office of President. Maharashtra is the ‘karmabhoomi’ of many revolutionaries, social reformers and saints. The list of great social and political leaders produced by the state, from their many streams, is a long one and includes Shivaji Maharaj, Chhatrapati Sahu Ji, Samarth Guru Ramdas, Tatya Tope, Sant Eknath, Sant Dnyaneshwar, Sant Tukaram, Jyotiba Phule, Savitribai Phule, and Pandita Ramabai Saraswati to Gopal Krishna Gokhale, Bal Gangadhar Tilak, Dr. Bhimrao Ambedkar, Dr. Keshav Baliram Hedgewar, Acharya Vinoba Bhave, Y.B. Chavan and Baba Amte. The President said that Maharashtra was one of the main centres of the freedom struggle. Many important chapters of the freedom movement, including the ‘Quit India Movement’ of 1942, were written in Maharashtra. Mahatma Gandhi regarded Gokhale as his Guru and made Wardha in the Nagpur division his work place. 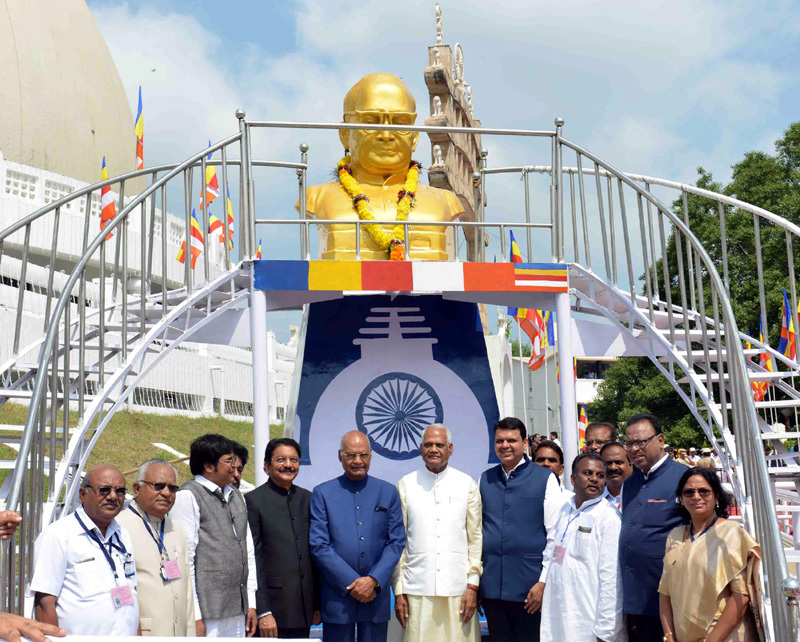 The President said that Maharashtra is not only a hub of industry and business of the country but that of its culture and art as well. Mumbai is described as the economic capital of India. By linking its heritage of education and culture with trade and technology, Maharashtra is giving strength to the entire country in the 21st century. In the quest for development and economic change, we have to take care to keep our cultural moorings intact. In this context, Maharashtra is setting an example for the nation. The President appreciated the rapid development of modern infrastructure which has taken place in Nagpur. He noted that there is a project to make Nagpur a Smart city. ‘Zero Mile’ Nagpur, traditionally regarded the geographical centre of the country, has the potential to become the centre of development of India as well.